For work requiring extreme accuracy (sometimes holding tolerances as small as a few tenths of a thousandth of an inch), a Swiss style lathe is often used. A Swiss style lathe holds the workpiece with both a collet and a guide bushing. The collet sits behind the guide bushing, and the tools sit in front of the guide bushing, holding stationary on the Z axis. To cut lengthwise along the part, the tools will move in and the material itself will move back and forth along the Z axis. This allows all the work to be done on the material near the guide bushing where it's more rigid, making them ideal for working on slender workpieces as the part is held firmly with little chance of deflection or vibration occurring. 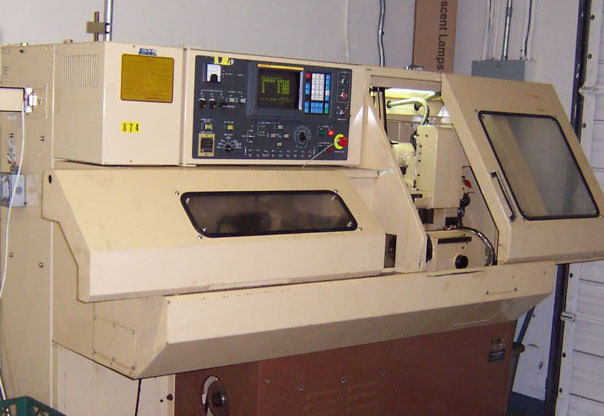 The VNC-12 sliding headstock lathe was designed to satisfy the need to combine precision and production. This machine was available in 2 types, type A and type B. It is equipped with twin hexagon turrets, both able to accommodate live tools. The B model is equipped with a 4 spindle rear working attachment. Center drill, tapping, reaming at the cut-off end can be accomplished without interrupting the main turning operation. Star CNC is a division of Star Micronics Co., Ltd. of Japan and is their exclusive distributor in the United States Visit Star's website to find out more information.